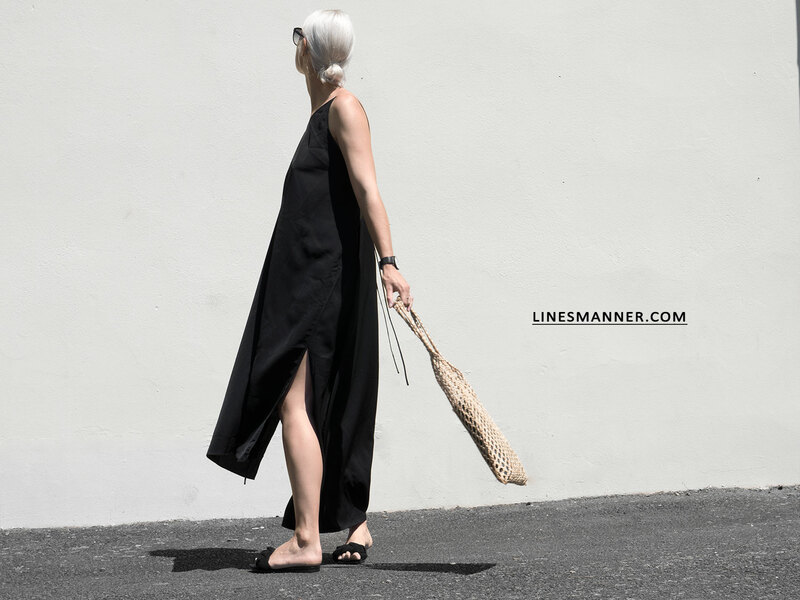 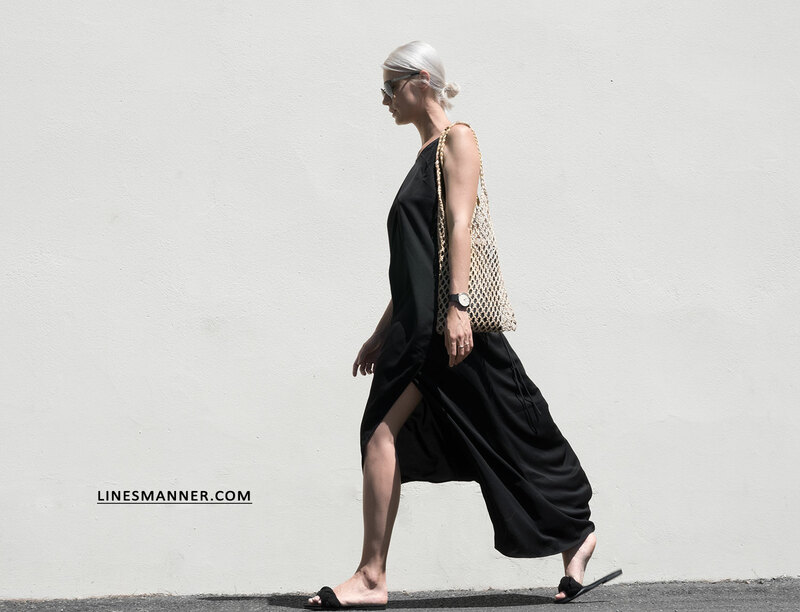 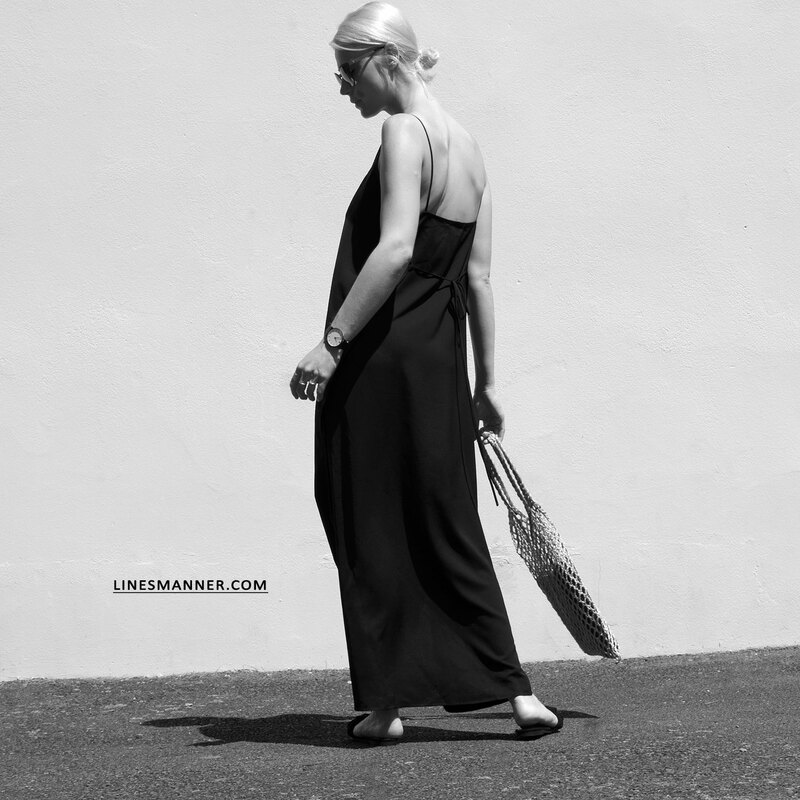 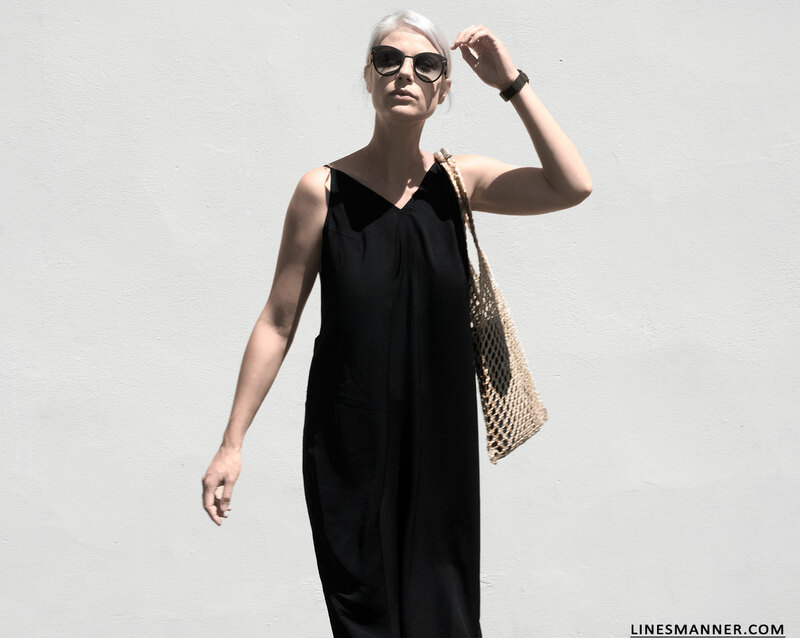 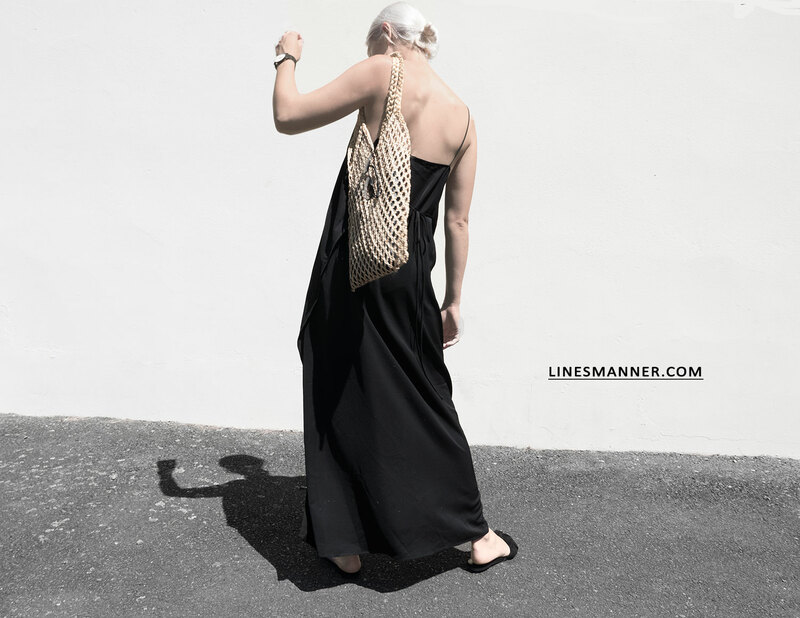 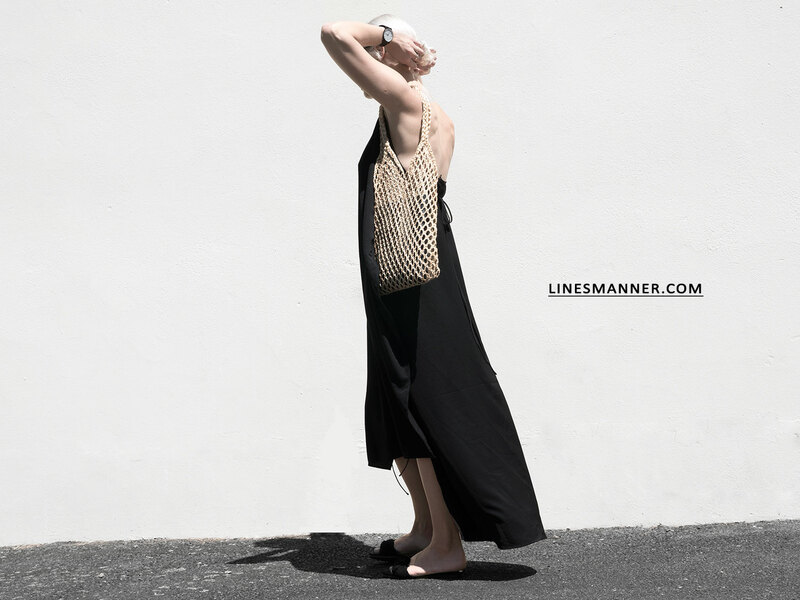 Keeping things light and fresh anchored by a statement piece such as the long-line maxi silk slip black dress — this particular one is adjustable at the waist. 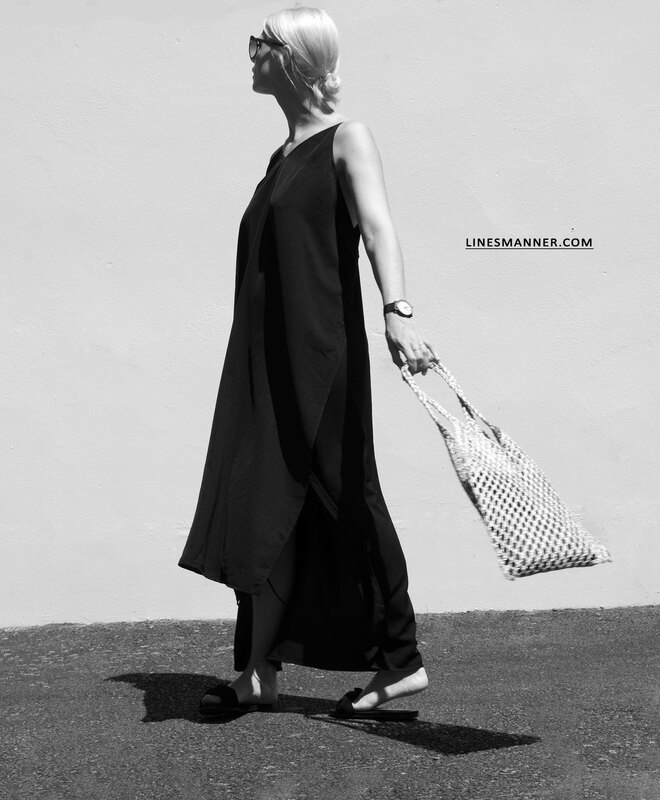 An everyday essential with a balance mechanism of comfort and elegance. 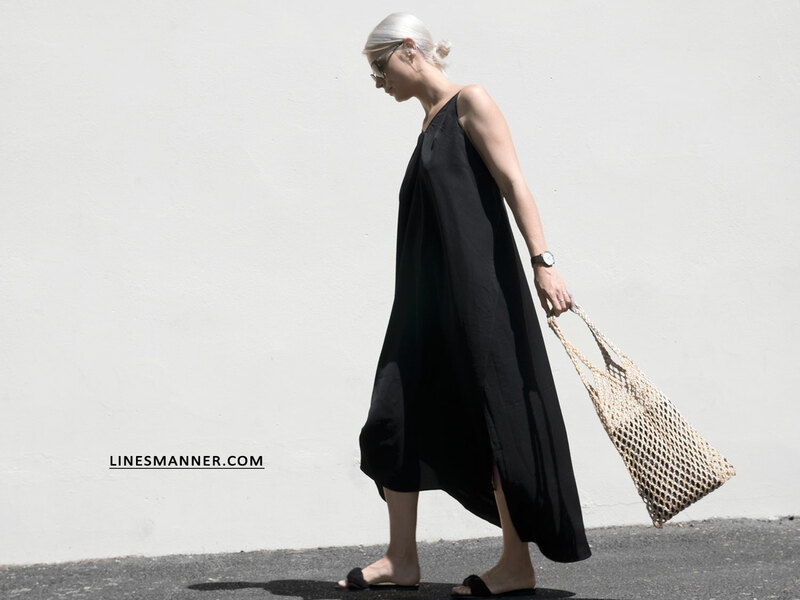 Maintain an edge with few accessories, just the bare essentials so to preserve a nuance of minimalism. 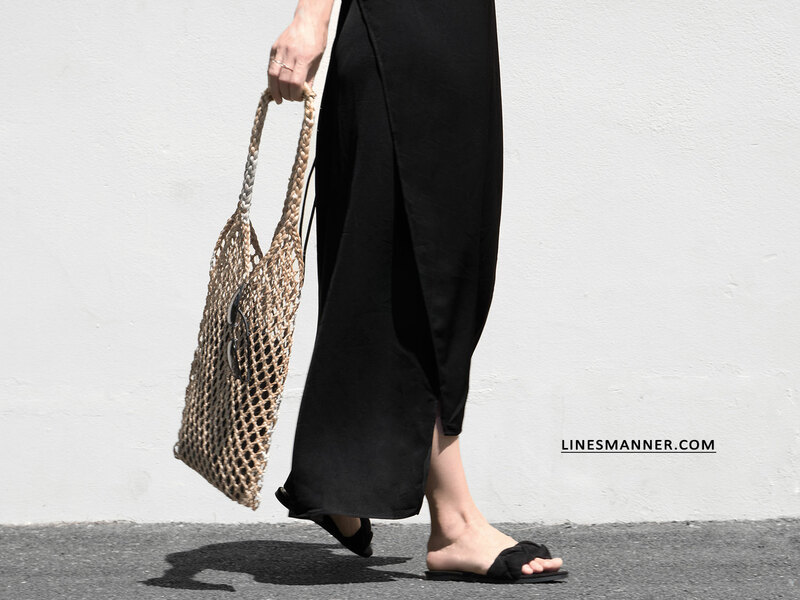 Bring with you a fresh summer breeze with the net bag, with perfectly associates a measured amount of functionality with the natural feel.